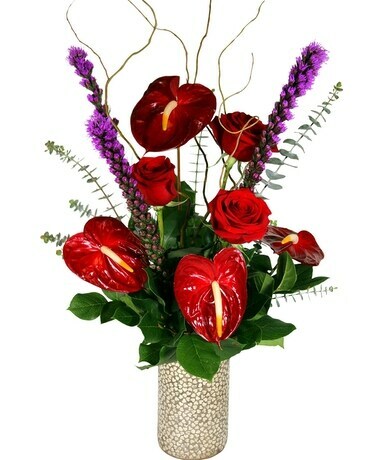 Exotic and compelling, with bold, vividly red anthuriums and roses set against dark green foliage. Hand arranged in a metal heart mosaic vase. Irresistibly beautiful.